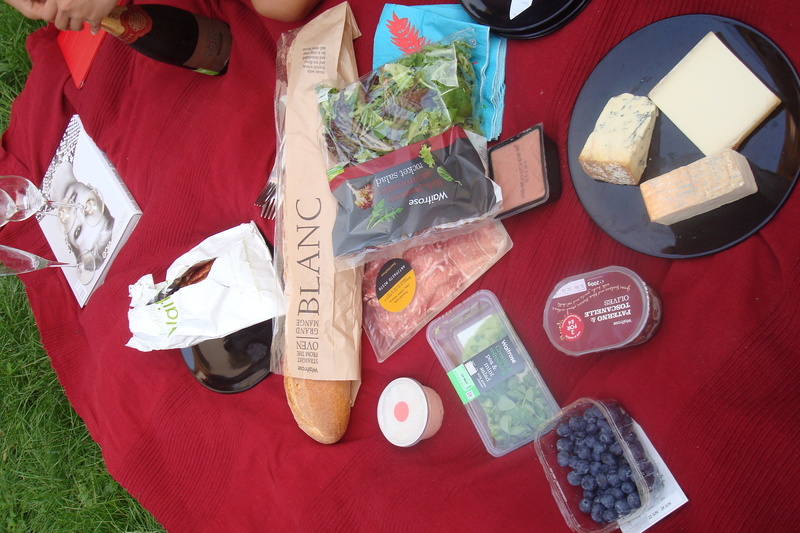 The sun had been out over London that day and a simple picnic sounded like a lovely way to spend my last night with my friends. I quickly texted that I would have everything prepared by the time they both came home. Moments after, I was on the tube to the nearest Waitrose with two canvas bags slung over my shoulder. I was on a mission! I carefully strategized the meal that would limit prep time, utensils, and clean up. I also wanted to include one thing that would push my friend to be adventurous. Her boyfriend and I share an ongoing joke that I have a special talent in persuading her to try and like things she normally thinks she doesn’t like. He claims that she only will begin to enjoy certain foods after she tries them with me even if he has suggested them to her year after year. First was beer, than salmon. I think the truth is that he lays the solid foundation for her to be open to the food, which is crucial for her to want to try it when I suggest it to her. After 45 minutes, I emerged with 13 items. The spread: whole roast chicken, baguette, smoked salmon terrine, two kinds of pâté, salad greens, green pea and pea shoot salad, marinated olives, blueberries, cured meats, and three hard cheeses. I had, after much deliberation, chose two types of pâté. One flavored with honey and orange and the other with herbs to see if my friend would like them. She ate them both but said they tasted a bit metallic. But she did continue to eat.